The Army Black Knight's were defeated by the Navy Midshipmen 79-57 at the United States Military Academy's Christl Arena in West Point, NY on Saturday, February 8, 2014. 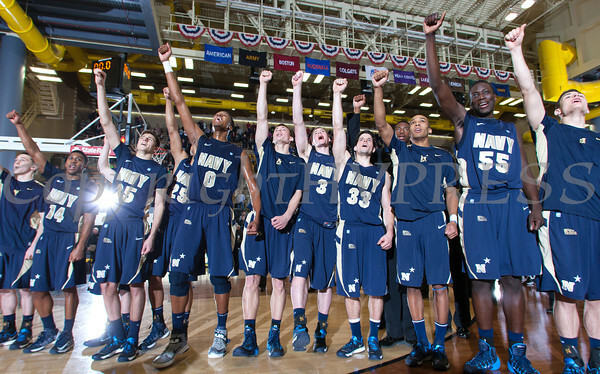 The Navy Midshipmen celebrate their 79-57 victory over the Army Black Knight's at the United States Military Academy's Christl Arena in West Point, NY on Saturday, February 8, 2014. Hudson Valley Press/CHUCK STEWART, JR.